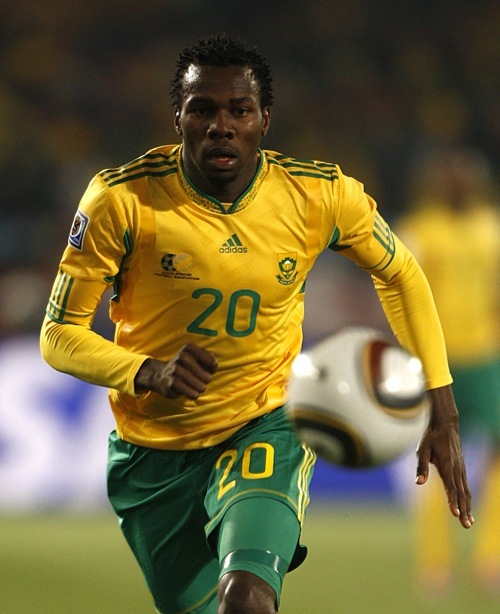 The mighty Tottenham Hotspur have announced the signing of South African defender Bongani Khumalo from SuperSport United. A pre-contract agreement means the 23-year-old will officially join Spurs when the transfer window re-opens in January 2011, subject to a work permit being approved. Khumalo, who impressed during the 2010 World Cup, is raw but there’s no doubt that Spurs desperately need cover at the back. He’s not expensive. We had him over on trial and we like him. He’s got potential and we’ve got a tie-up with the club SuperSport so we’ve taken him on. It will be a great chance for the kid. He’s a great lad. He comes from a poor background and he’s desperate for a chance and we’re going to give him a chance. He’s “not expensive” – high praise indeed, Arry. I’d call £1.5m not expensive (for a football transfer) too. why do footballers who study always do economics? ryan nelson and milito were also studying economics (nelson may have completed his degree not sure). so you know, three in total. i think that’s enough to conclude from.